At the state GIC (Group Insurance Commission), they’ve been referred to as ‘consumer driven’ plans, which sounds a bit more positive in tone. But regardless the terminology, they all have the same result, namely reducing the monthly insurance premium substantially but upping out-of-pocket costs. “While premium reduction is an attractive outcome, Mass Retirees has a somewhat cautious approach when it comes to high deductible plans being offered as an option,” continues Duhamel. “We’re concerned over their long term impact on our non-Medicare retirees. “If more and more employees leave the traditional (lower deductible) plans for those with a high deductible and lower premium, then the unintended consequences would be greater and greater increases in the premiums being paid by our non-Medicare members for the lower deductible plans. Worse yet, they could see their benefits gradually being eroded. “That said, high deductible plans are no longer just an idea on the drawing board. They’re being offered to local retirees on their menu of non-Medicare plans. For example, they’re now included in the Cape Cod Municipal Health Group. Having started in 1987, the Cape Cod Municipal Health Group lays claim as the oldest municipal joint purchase group in Massachusetts. We commonly refer to these joint purchase groups, which are authorized under the municipal group insurance law or Chapter 32B, as municipal insurance pools. With over fifty participating communities or governmental units, Cape Cod also claims to be one of the state’s largest pools. One of the Cape Cod participants is the Town of Dennis. Chapter 32B). With that decision, the Association appointed a retiree designee to the town’s Public Employee Committee (PEC). “Association member Bob Rolanti, a retired Dennis firefighter, was designated by us to serve on the town’s PEC,” according to PEC Coordinator Tricia Igo. “Bob is also one of the elected members to the Barnstable County Retirement Board. 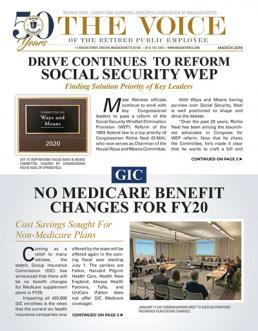 Non-Medicare retirees and employees continue to be offered standard HMO and PPO plans that include for example, deductibles ranging from $300 for an individual HMO enrollee to $900 for a family. As an alternative, the Cape Group also offered HDHSA plans with relatively higher deductibles of $2,000 for an individual and $4,000 for a family. To offset the higher deductibles, these HDHSA plans come at a much lower premium. In addition, they offer other features such as reimbursement for a portion of the deductible and coverage in full (no copays) after the deductible is paid for many services. “Naturally Bob questioned the process that led to these plans being offered by the Cape Group to Dennis in the first place without consulting the PEC,” continues Rehrey. “Officials have argued that they can offer the plans without the PEC’s approval, and we don’t agree with them. Ed Note: Hyannis and Orleans have included them. Some 180 enrollees have signed up for these plans at this time.